It's February 2nd, 2018 and one time each year we find out if Pennsylvania's Punxsutawney Phil (the most famous of the Groundhogs) will come out and see his shadow, indicating 6 more weeks of winter. Or, if he does not see his shadow this means Spring will arrive early! Although Punxsutawney Phil can't truly predict the weather, we picked out some items you can add to your current Winter wardrobe... and some to start adding to your closet for Spring! 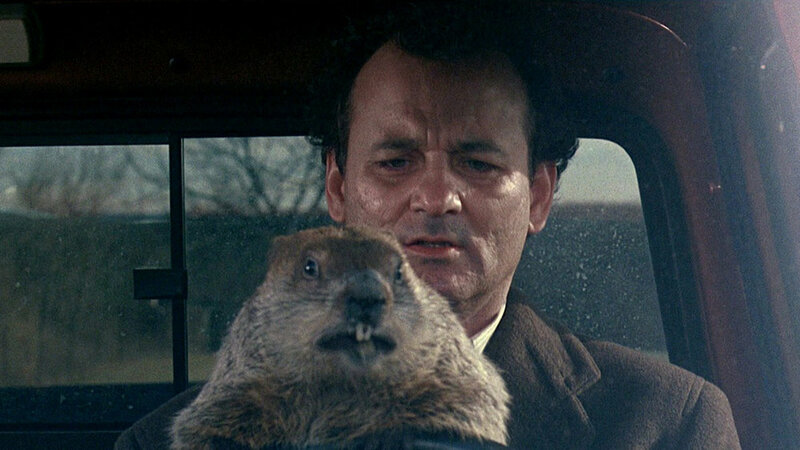 Screen-capture from Groundhog Day (1993).